Direct Traveller is an award winning tour operator specialising in tailor made holidays. After attaining status on the Sunday Times Fast Track League tables as #77 fastest growing private company in the UK, things were looking up. That is until they were affected by Google’s ever-changing algorithms. Direct Travellers domain www.directtraveller.com saw dramatic ranking drops from number 1 to 3 positions for all their target keywords, to the 60’s, 70’s, 80’s. Rankings dropping meant a drop in traffic, awareness, online bookings, offline enquiries and affected the overall top line of the business. To overcome this dramatic drop the company switched their budgets to Google Adwords in addition to their national press ads and TV ads, in order to maintain a flow of visitors to the website while they solved their serious Google website ranking issues with search engine optimisation. Direct Traveller’s original SEO Company tried to resolve the issues of the domain best they could, however their overall understanding and lack of attention to detail meant that after a year of trying there was no benefit to the rankings. After trying a further 6 months, the anticipating changes to Google rankings proved fruitless. Direct Traveller decided it was time to find an alternative Search engine optimisation company. They awarded the task of overcoming this Google algorithm penalty (filter) to Tekcabin, while they focused on their core business and continued to attain many more awards for it. Through extensive analysis of the company’s domain, both on-page and off-page, Tekcabin were able to firstly identify that Direct Traveller was affected by The Google “Panda” algorithm update back in February 2011! Sounds so nice and cuddly right? We can assure you it is not! Google algorithms are processes and formulas that take a search query and turn them into search results. A search result is determined by 200 unique Google signals. The Google signals are taken into consideration when ranking websites. Google has a different update from time to time in order to improve the ranking of quality websites. 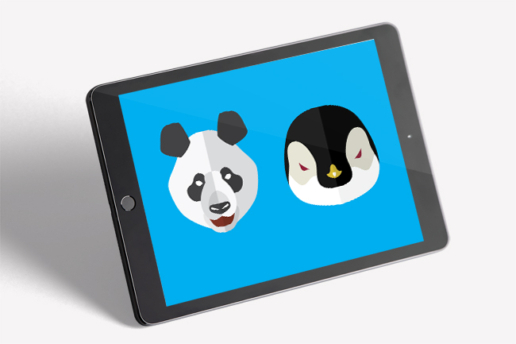 The Google Panda Algorithm update targeted websites that had a lot of low-quality pages. The Google Panda algorithm update affected the Direct Traveller website’s visibility on the search engine. Many of the hotel descriptions were considered as low quality along with destination pages which had a lack of originality and depth. That’s not all! In addition to this “Panda update” issue, Tekcabin discovered that the Direct Traveller domain was also hit by another Google algorithm update known as the Google “Penguin” update in February 2013… Again not as cute as it sounds! The Google Penguin update is related to link quality. Web sites with low-quality links were penalised in the search rankings. The Direct Traveller domain had a significant amount of low-quality links and spam links pointing to it. This lack of quality in the link profiles meant that the domain was considered to be associated with low quality and bad reputation websites. In turn this affected the ranking exposure of the domain. Coupled with over optimisation, and a lack of structure and strategy, the Direct Traveller domain was struck down in the Google search engine rankings. The significance of the two Google algorithm updates affecting the website were more amplified as they were not each dealt with individually through tracking and regular maintenance. Instead the company found themselves solving a combination of two Google algorithm filters in one go. Tekcabin conducted a range of search engine optimisation strategies and implemented these to overcome the websites lagging Google search engine rankings. Initially Tekcabin targeted off-page search engine optimisation including the low quality links that were giving negative ranking signals. Tekcabin then began a constructive and quality link building campaign to the domain. Initial Results:The Website Rose To Page 3 Of The Google Listings. 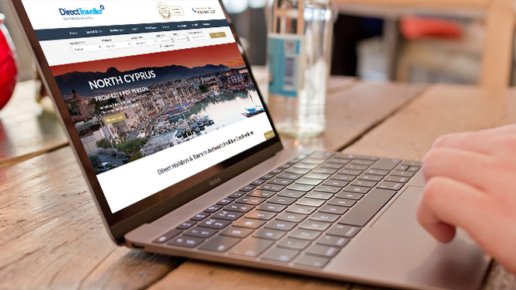 With the new improved website Google rankings, Direct Traveller saw this as a positive sign and so wanted to update their website to portray their brand image. The Tekcabin travel technology system was their ideal choice. Built with search engine optimisation in mind, every aspect of the website architecture is built in a way that makes it easy for humans and search engines to navigate. This aided the search engine optimisation process of on-page SEO as the website architecture and content was within direct access to Tekcabin. We ensured page-speeds were sufficient and managed the entire process of migrating the website to the new platform, while ensuring there was minimal issues from the site migration. We saw this as the opportunity to also switch to secure website status as URLs were changing anyway. The introduction of completely secure pages was ideally conducted at this time as it gave potential Google ranking benefits without any additional risk at a time of site and URL migration. Once the site was migrated successfully, we activated it and moved on to the on-page issues. The on-page issues included website content and architecture, while maintaining the structured quality link building strategy for Google search engine ranking success. Once this was complete, Tekcabin then moved onto the website blog. We began a blog strategy that would give quality signals to the search engines, while cementing Direct Traveller’s status as a leading entity in their niche destinations. The improved website signals would be the icing on the cake for the website, while generating additional traffic for it. Now it was a waiting game. Tekcabin continued the quality link building, blog campaigns, and introduced social media and PR campaigns to give more positive signals. Back then, the Google algorithms were not in real-time and so it was a matter of waiting for the next Google algorithm update for Google to review the website under a new set of algorithm filters. Google Penguin 4 Arrived at the end of 2016! The Google search engine algorithm updated, and the Direct Traveller team and Tekcabin team were happy to say the least. We were watching the rankings day and night to see the moves… It happened! The domain saw rankings move to page 1 for many keywords in the first week, then a couple of weeks later they moved higher, and higher again… after a couple of months, we saw the finalising results. Direct Traveller Google search engine rankings were at positions 1 to 6 for most target keywords. As you can imagine they are very happy! Sales are up by 25% and website traffic is through the roof. Direct Traveller is paving the way for their future growth strategy with Tekcabin as their specialist search engine optimisation team and online marketing team. There is still plenty of room for improved website exposure which will be achieved with a longer sustained approach to online marketing and SEO. Tekcabin recognises this is the beginning of the process for this website domain’s recovery. 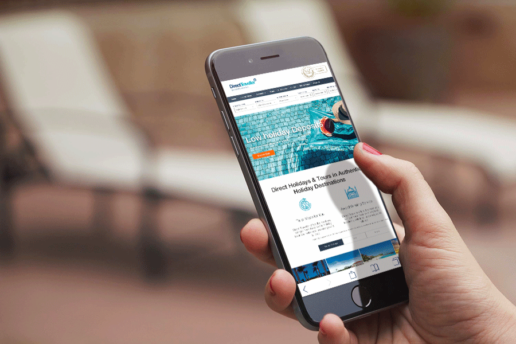 With Tekcabin paving the way for a safe and future-proof online strategy, this travel company is set to see further improvements in their website’s exposure. If you would like to improve your website rankings through search engine optimisation, recover from a Google algorithm change, Google manual penalty, or would like Tekcabin to bring positive results to your company’s online marketing, SEO, and website needs, contact us for a no obligation analysis of what we can do for you.